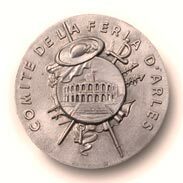 t Dortvaat, Carnival Sunday. Establishment of Tisniksentwurtniks by a.o. Ton Hoofwijk, Jos Kamps, Lei van Rooij, Nico Jessen and Chris Nohlmans. 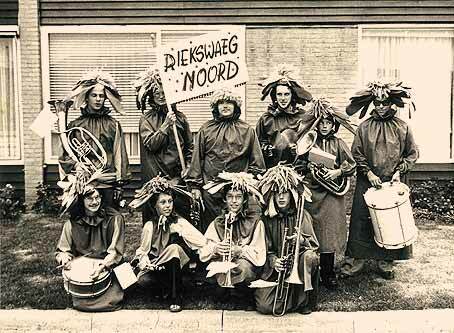 Goal: giving musical support to the carnival activities of neighbourhood Riekswaeg Noord. Name invented by Hay Houben. 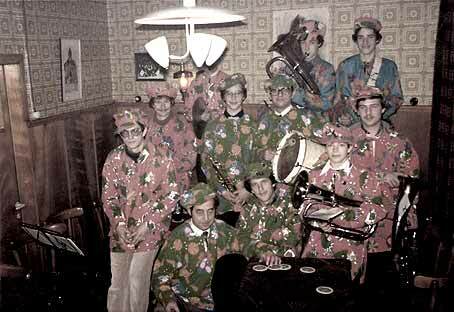 Sittard, first public appearance on the occasion of the 50th birthday of Sjang Jessen. Evergreen of the evening: Rucki-Zucki arranged by Jos Frusch. Plus lots of carnival music. First group photo. Proclamation of Chris Nohlmans as Prins Chris II of Sittard (being bestowed the title of Prince Carnival is the highest honour imagineable in Sittard!). This period was marked by building up a positive balance on the bank account and buying the first uniforms (bring your own black trousers and shoes...). 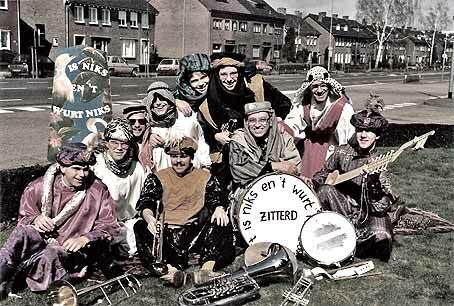 First participation in a brass band competition outside of Limburg. Most memorable event was the band's first ever visit to a McDonald's restaurant, with Sjang dead-seriously ordering a nasibal (Indonesian specialty). Winner of the Open Dutch Championships for street brass bands. The Gold theme was a home-run with the wooden-shoe-boys from the Northern countryside. Gold from Spandau Ballet, Goldfinger and Money, money, money. Opening act at a big charity concert with a.o. the world famous Andre Rieu, for the victims of the 1993 river floods in the south of the Netherlands. 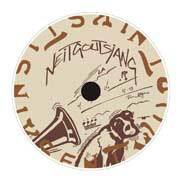 Release of the first CD Neitgoutsjang with a.o. Toen wij uit Rotterdam vertrokke, performed live by Sjang Jessen himself. New years eve party in Hotel Winselerhof (owned by Camille Oostwegel, who later became famous for hosting President Bush in 2005). 22 year anniversary celebrated with the honorary first prize for Riekswaeg Noords group and float in the big carnival parade. The groups theme celebrated the importance of live street music during carnival. Participation in the Smartlappen-Route in Utrecht, with a mini-concert in the Tivoli theatre. Benno M. gives it his best shot and is crowned King of Tisniksentwurtniks, despite the best efforts of Robbie V, Achim H and Bart B. Serve J. celebrates 15 years of running pub t Sjterfhoes and is left behind at the end of the day with a collection of costumes, instruments, hats, unpaid bills and a Bulls Head.